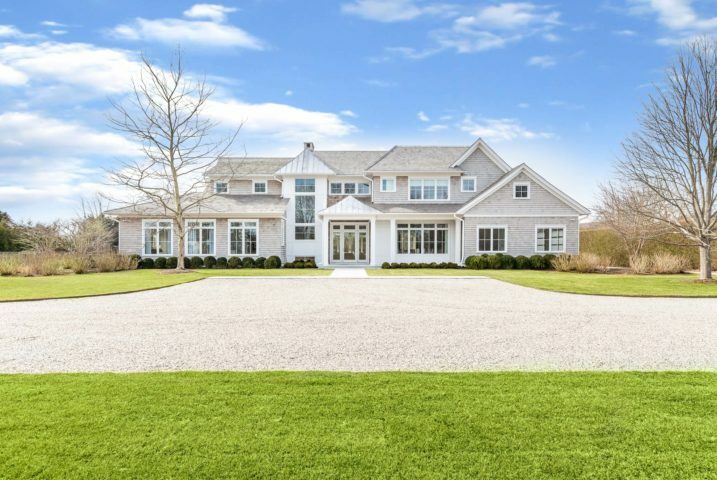 Situated in one of the most desirable and easily accessible locations in the Hamptons, this 8,000+ sq. ft. home will allow for interior-finish customization. With a double-height foyer, the design of this house maximizes living space with a chef’s kitchen plus butler’s pantry, great room, and an additional living room and dining room. This home will also have a first-floor master suite, cabana bath, two-car garage, and a beautiful backyard with heated Gunite pool and spa, and tennis. A covered area in the back of the property makes this the perfect home for entertaining.